Many well-preserved adult Corythosaurus skeletons have been found at Dinosaur Provincial Park, including this example, which only lacks part of its tail and hands. The dinosaur's body shape can be reconstructed with great accuracy because it is so well-preserved. In the Late Cretaceous a great variety of plants grew in the swamps and surrounding landscape, providing a supply of food for the many herbivores that lived here. More than 170 different species of plant have been identified in the area. The most common dinosaur in the area was Corythosaurus, a hadrosaur (duck-bill). A swamp-dweller and herbivore, it lived in herds. Its crest had many nasal passages, which it may have used to make sounds. In northeastern arizona there is a remarkable site from the Late Triassic. About 220 million years ago, a great forest of conifer trees grew somewhere in this area. In times of flood many were uprooted, carried along by the water, and piled up in heaps on the land, where they were slowly fossilized. Today, these ancient tree trunks lie scattered across the landscape, in an area known as the Petrified Forest National Park. 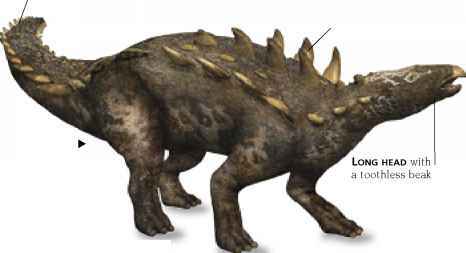 There are also fossils of the world's first dinosaurs, such as Chindesaurus, together with amphibians and large-tusked plant-eaters called dicynodonts. 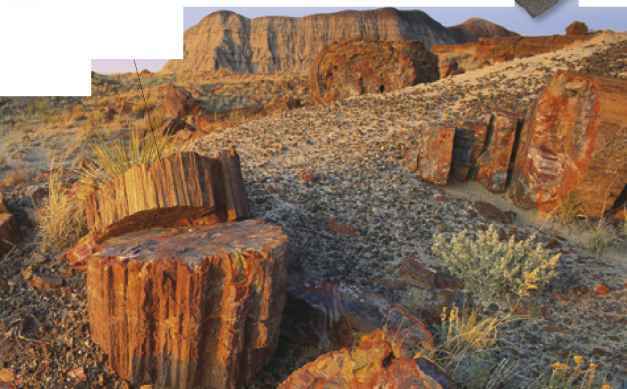 Petrified Forest National Park was established in 1962. 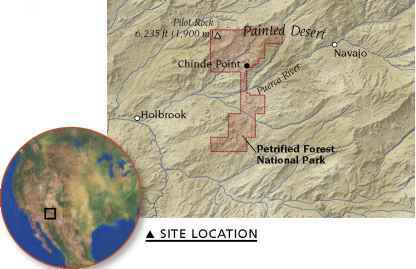 As early as 1899, the United States Geological Survey had sought to protect the area. It covers 342 sq miles (885 sq km). This is one of North America's oldest dinosaurs. A small-sized meat-eater, Chindesaurus had long hind legs, indicating that it was probably a fast mover. It is known from a partial single specimen, collected at Chinde Point in Petrified Forest National Park. 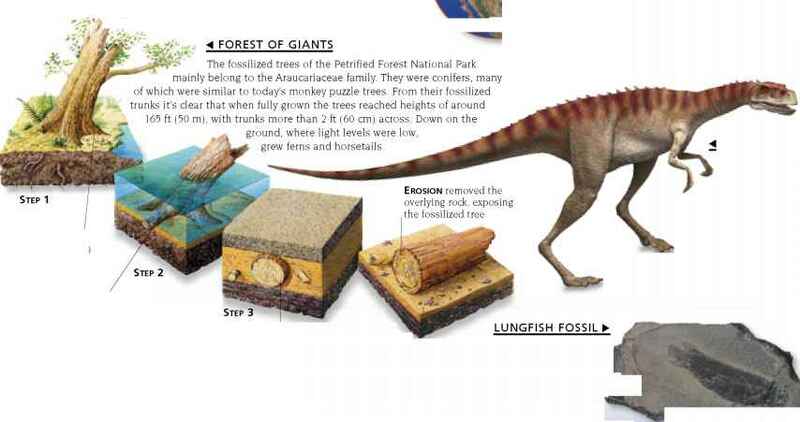 The fossilized trees lie where ancient floodwaters dropped them, more than 200 million years ago. Since then, wind, water, and ice have weathered away the rock that entombed them, leaving them visible on the land surface. As the minerals that transformed their bark and wood into stone are brightly colored, these petrified logs are sometimes known as "rainbow wood." Red of the fossilized trees is from the mineral hematite, a form of iron oxide iW.